Over the summer I do as much yoga as I possibly can. I would do it every day if I could, but usually four or five times a week is all I can fit in. I consider it to be part of the rejuvenation process that I undergo during the summer before I return to my job as a high school English teacher. I go to a lot of different classes at different levels, and I’ve never heard a teacher say to a student, “you’re not ready for this class.” Instead, the teacher makes sure every student is able to practice. They model poses, offer adjustments, and offer modifications for students that are able to handle more advanced poses. It’s differentiation in action. I have taught honors classes for a number of years, and it’s easy to get into the mindset of: “This person does not belong in an honors class.” It’s tempting then to make sure that those kids know that they made a wrong choice. I have found this position to be exhausting and frustrating and never did much good. Those kids should be in your class because they are in your class. And you’ll get more mileage out of accepting that fact and finding ways to reach every kid, bringing everyone up to the level of the most advanced students. Will they all get there? Of course not. But the point is you treat every student as if they’d like to get there, and maybe they’ll catch the bug and become a serious student of your subject matter. 2. An environment that encourages you to do more than you thought you could. 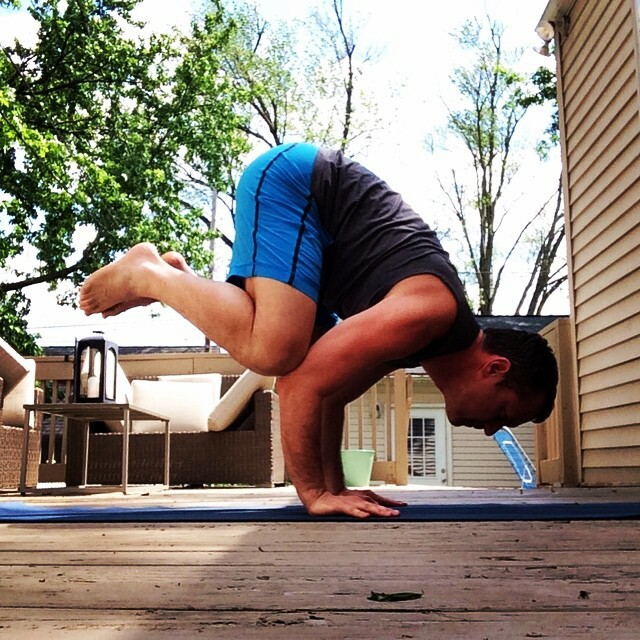 The photo above is me doing crow pose, a pose that I never thought I’d be able to do the first time I saw it. However, with enough practice and the encouragement of teachers, I was finally able to do it. The sense of accomplishment I felt after nailing a tough pose was tremendous, and made me feel like I could do just about anything a teacher threw at me. I can’t always do it, but I always try. Currently I’m working on holding a handstand. My “summer teacher” told me recently, “You have all the core strength to do it. You just have to practice and you’ll get it.” Ever since I heard that, doing a decent handstand has been a goal of mine, simply because I was told that I could do it. My favorite classes are vinyasa classes, in which the teacher crafts the sequence of the class so that it meets the needs of the students while also focusing on specific areas of study that the teachers would like. Also, you are encouraged to improvise if you feel inspired to do so. As a result, vinyasa classes are always fun and creative and take you on an interesting journey. How great would it be if we could inspire our students to think of class as a time to play and be creative with their minds? 4. Breathe. Relax. Have fun. This one is just for teachers. A great thing to remember!